This is what rock and roll music will sound like in Heaven! 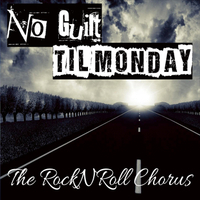 The RockNRoll Chorus is an attitude that achieves the ability to be unique and successful against the 'mainstream doubtful mentality'. Rock and roll is not a sole suggestion of any particular style of music, it is a way of living. The RockNRoll Chorus features contemporary and classic rock and pop music in a voices-only, live-arena-concert style. However, RockNRoll Chorus music is always executed through the vehicle of healthy, proper, ensemble singing while maintaining the feel, power and energy of each song's original intent.